Members of the Sea Watch on a rescue mission. A migrant rescue NGO has urged the Maltese government to stop hindering rescue workers and causing a mass grave in the Mediterranean, just hours before another humanitarian vessel's captain is controversially arraigned on Monday. The Sea-Watch said it had learned today that its vessel is being detained in Malta without any legal grounds provided by authorities. 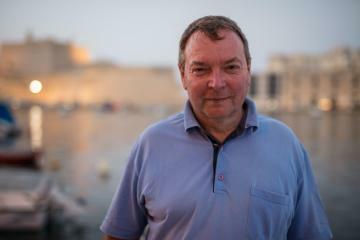 "Since the Sea-Watch 3 is not registered in the sportboat register, as is the case for Lifeline and Seefuchs, but is listed in the royal shipping register as a Dutch seagoing vessel, fully entitled to fly the Dutch flag, the lack of permission to sail from Malta turns out not to be a registration issue, but a political campaign to stop civil rescue at sea," an NGO statement said. 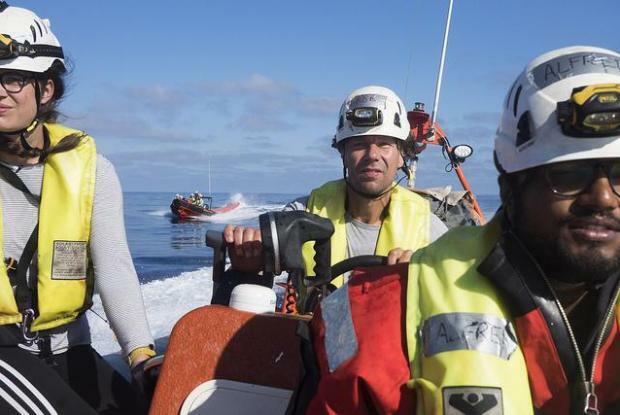 Sea-Watch 3 captain Pia Klemp. In a cryptic and legalistically-worded statement on Thursday, the government said "Malta needs to ascertain that operations being conducted by entities using its port services and operating within the area of Maltese responsibility, are in accordance to national and international rules". 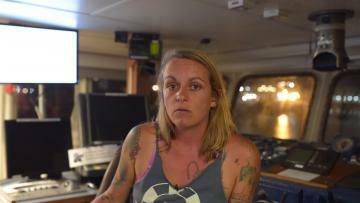 What kind of world are we living in when sea rescuers are criminalised? While rescue assets remain blocked in port, recent days have become the deadliest for migrants this year, Sea-Watch said. On Sunday, the UNHCR reported another 63 people missing, while on Friday more than 100 people drowned, among them babies and children. "At the moment there is no suitable rescue asset left in the area of operation, despite the fact that the Sea-Watch 3 is well-equipped and ready to sail. Sea-Watch strongly urges the Maltese government to stop hindering rescue workers, as human lives are at acute risk. Meanwhile, the Lifeline's ship captain is expected to be arraigned on Monday on charges related to the vessel's registration. "I will contribute in all ways with the court to answer all open questions. But while we are discussing questions about registration, I want to say that our crew rescued 234 humans and for that, I am not aware of any guilt. I want to thank my crew that we managed to bring these people to safety," Captain Claus-Peter Reisch said in a statement. against sea rescuers than against death at sea?"